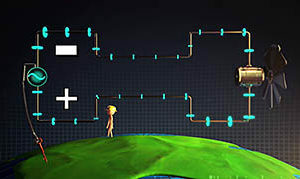 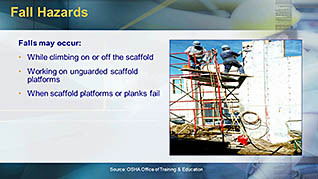 Two out of three construction workers frequently work on scaffolds. 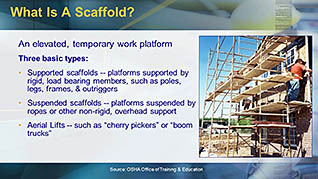 Working with scaffolding exposes workers to dangerous hazards, including falls, bad planking, scaffold collapse, falling debris, and electrocution. 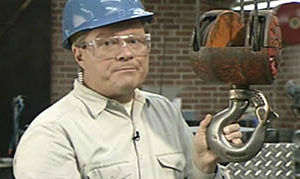 By protecting workers from these and other hazards, an estimated $90 million in workdays lost could be saved. 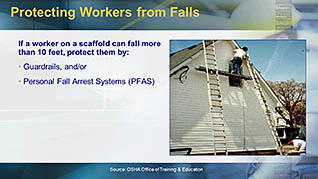 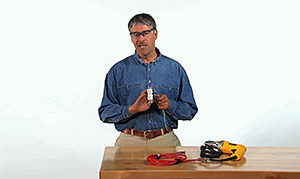 Use this video to educate workers about scaffolds and safety.